This is an excellent book to help kids and parents through the divorce process. The book helped me and my kids through several painful months. I would recommend the book even if you are just having trouble in your marriage. Great series for children of divorce! Jontie Hays connects directly with the issues surrounding divorce. It is always complicated, but especially with children affected. Jontie's stories in this series (I have read 1,2 and 3) are spot on with what happens in a child's mind and she gives them acceptance of their feelings. She also gives them tools to use to help themselves heal from what is probably the most traumatic event that they have ever faced. Highly recommend this series! The Monkey in the Middle by authors Jontie Hays, LCSW and Sarah Ulmer is a series of colorful books for children, in the categories of parenting and psychology. This third book is called I Have a Right to Hear Happy Words. Max, the main character, knows his parents are getting a divorce, and the conversations with his friend Marley, allows any child going through or recovering from divorce to identify immediately with Max. 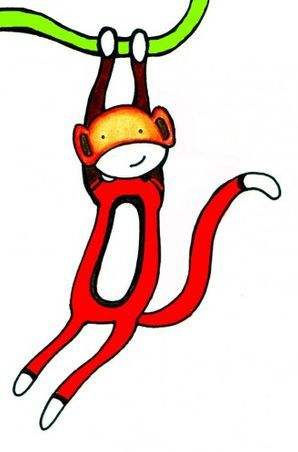 The monkey, another book character offers more value as an easy companion for any reader. The books opens in a colorful display of the words I have a right to hear happy words. I can imagine a child saying," I have a right..." as they read this book and come to accept this for themselves. As a mom or Grandmom reading this book to children, I would sing the phrase and hope the melodious words would stay in a child's mind and offer supportive thoughts in tough times. The Kidz' Rightz scroll on page five provides some conversation or therapeutic openers to help Max adapt to the situation like Feel safe. Obey the rules at each house. Take care of myself and let others help me. Next comes a brief letter from the author, introducing the author as a character called Ms. Daisy, the adult who helps Max understand and learn. Then the story picks up the comfortable pace of the book with colorful illustrations and well-done depiction of Max's emotions in the character's face and body pose. In this story, Max wears a special set of glasses (given to him by Miss Daisy) in which his arguing parents become like two children arguing. He hears what they say and sees them as children. Thus, the door opens for discussion about the added value of the "Feelings Poster" on page 38, and about how see and believe. This concept is wonderfully illustrated by each person in the story looking at one side of the house, and that is all they see, and thus, all they believe. Max learns he doesn't have to agree or disagree with either parent. He writes a letter with Ms. Daisy's help to tell his parents how he feels when they argue. Writing is much easier than saying it in person. Ms. Daisy will help by reading the letter to Max's parents without his presence. The rest of this delightful and superb book focuses on Kidz' tools around building the tree house, another story theme, and offers the "fun book" portion as opposed a workbook. Having won the 2009 USA Best Book Award for the parenting category for Raising Intuitive Children: Guide Your Children to Know and Trust Their Gifts I see why this high-quality book series won the prestigious award for the Monkey in the Middle Series as an innovative teaching and therapeutic tool to empower children to not be in the middle of their parents' divorce. At the end of the book, the last page reads: No Siree. No more monkey in the middle for me! As a family therapist this book has become by go to tool for parents and children to start the icky conversation about the impact of divorce. 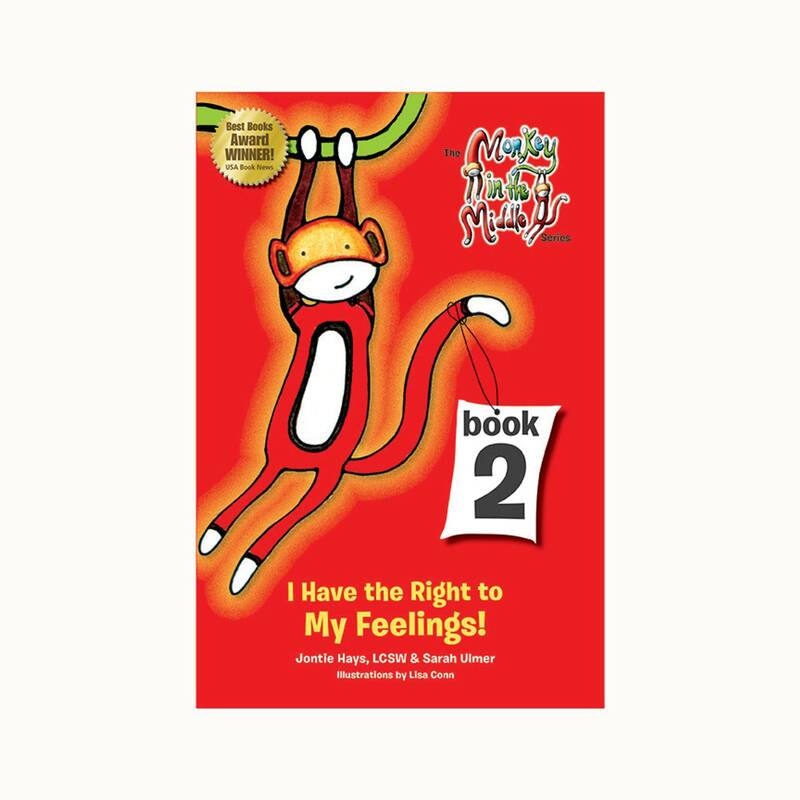 The book starts with Kids Bill of Rights, which allows the parent to acknowledge the child's' feelings and reassure them that everything will be all right despite all the changes that are happening. Parents told me it was reassuring to them that they could be successful in co parent in separate homes by each parents reading this series to their children. Each book in the series explains what each right means. Books One focus on right of child to "Understand what is happening and know everything is going to be okay", does an awesome job at reassuring a little one that the fighting they have seen and mean words they have heard will not continue and their parents will heal and be able to co parent in separate homes. A mother I worked with was very grateful to have a tool to bring up times her child had overheard her talking poorly about the child's father on the phone and was able to apologize. The Child was able to share his fear that his father was going to move away and not come back as in what happened to a classmates. 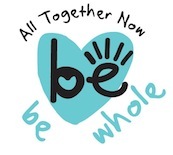 Divorce is heart wrenching , trying to balance life with so many changes is overwhelming, many parents feel scared and lost to how to support their children through this process. Try these children's stories to create that special time between your child and yourself to start the much needed conversation and healing. I really enjoyed this book. The author does an excellent job at letting kids be real and authentic with their feelings. This allows catharsis and self care to occur at an early age. I am attaching a key page below.